As an estate planning attorney, I advise clients about the ways they can pass their assets to their beneficiaries and avoid probate. This is a desirable goal for most people since probate can be expensive, time consuming, and aggravating for those you leave behind. There are multiple ways to avoid probate including: 1) owning assets jointly with another person; 2) designating pay-on-death (POD) or transfer-on-death (TOD) beneficiaries on an account; or 3) titling assets in the name of a trust. While opening a joint account and filling out a beneficiary designation form are easy, they are not the best choice in every situation. Read on for five reasons why joint ownership or a pay-on-death designation is not always the best choice if you are trying to avoid probate. When you add a joint owner to your account you take on that person’s problems. Many clients add an adult child’s name to one or more of their bank accounts. The most common reason for doing this is so that someone will have ready access to funds to pay bills in case the parent becomes incapacitated or dies. Adding a child as a joint owner on an account is not necessarily a bad thing to do however in most situations it should be confined to the parent’s checking account in which a small balance is maintained. One of the reasons for this is that when someone’s name is added to an asset, that person is a legal owner of the asset. If that joint owner experiences some troubles (i.e. divorce, lawsuit, failed business, tax lien, etc.) that person’s creditors may very well try to reach that jointly held asset to satisfy their claim. While the parent may eventually prevail on the argument that the account was funded solely with the parent’s money and established ‘for convenience’, that may only occur after a protracted period of time during which the account could be frozen and expensive legal fees incurred. Your estate will need some money to pay bills. If you have beneficiaries designated on all of your assets (i.e. bank accounts, investment accounts, life insurance, IRAs, etc. ), when you pass away none of your assets will need to be probated. This is a great result since probate is time consuming, expensive and aggravating, right? Well yes, probate avoidance is good, but where will the money come from for your estate to pay funeral expenses, outstanding bills, final medical expenses, taxes, accountant fees, etc.? You might assume that the people you have named as the beneficiaries will ante up and pay those expenses and maybe they will – or maybe they won’t. Being thoughtful about cash needs in your estate and ensuring funds will be available is an important aspect of planning and will go a long way toward reducing bad feelings among your beneficiaries. Your intended beneficiaries are minors. I have a number of clients who want to leave their IRAs to their grandchildren. In addition to giving grandchildren a nice gift, leaving tax deferred retirement benefits to grandchildren can be a ‘tax-wise’ plan. Naming young beneficiaries to inherit IRAs allows for a longer withdrawal period (‘stretch-out’) for those tax-deferred assets. When someone other than a spouse inherits an IRA, the tax rules require that distributions from the IRA begin by December 31st of the year following the owner’s death. The beneficiary does not have the option of deferring distributions until age 70.5 like the owner of the IRA does. However, the beneficiary of an IRA does have the option of taking withdrawals from the IRA over the beneficiary’s life expectancy. Life expectancy is determined by an IRS table (of course) which assumes a life expectancy of about 83 years for everyone. For example, if an IRA is left to a child who is 60 years old when the parent dies, the IRS table requires that the child take withdrawals from the IRA over a 25-year period beginning with 1/25 the first year, 1/24 the second year and so-on until the IRA is completely paid out in the 25th The assets in the IRA that do not have to be distributed continue to grow tax-deferred each year. Contrast that with an IRA left to a 10-year old grandchild whose withdrawal period is 73 years. That’s 73 years of tax-deferred growth versus 25 years. However, if a minor is the beneficiary of an IRA, the only way to transfer ownership of the IRA to the minor child when the grandparent dies is to petition the court for the appointment of a conservator. In Massachusetts, this is a time-consuming and expensive process. Grandparents can use a trust to leave IRAs (or other gifts) to a grandchild instead of naming the grandchild as a beneficiary, thereby avoiding the need for a conservatorship proceeding while still obtaining the tax benefits of the extended pay-out. You have concern about your beneficiaries’ ability to manage money. Even if your beneficiaries are not minors, you may be uncomfortable with the notion that some (or all) of your beneficiaries will receive unfettered access to the accounts on which you have designated them as beneficiaries. If you have beneficiaries who are irresponsible with money, who have drug, alcohol or gambling problems, who are in a bad marriage, who have a shaky business, or who are just young and inexperienced with money, leaving them money outright may not be the best approach, even if it is easy and avoids probate. Rather than designating them as pay-on-death beneficiaries of accounts, consider using a trust to control the distribution of these assets to your intended beneficiaries. 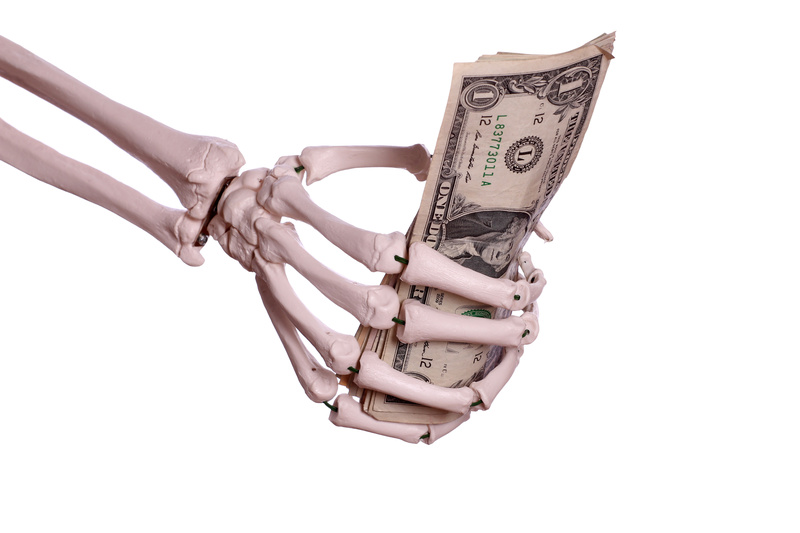 Your plan will fail if your designated beneficiary or joint owner predeceases you. What happens if your joint owner dies? In order for joint ownership or pay-on-death planning to achieve probate avoidance goals, the joint owner or named beneficiary must survive the owner. If the unexpected occurs (and let’s face it, it often does), then the joint ownership will fail and the asset will once again be owned individually. Likewise, if the named beneficiary predeceases the account owner, then the account may end up in probate or may be distributed in an unintended manner. When you designate a beneficiary of an account, the disposition of that beneficiary’s interest in the event the beneficiary dies is determined by the financial institution’s paperwork which may not be in keeping with the account owner’s intention. The owner could address the situation by adding a new joint owner or beneficiary when someone passes away, but surprisingly this often does not happen. If a trust is created then this issue is avoided since a trust will not ‘die’. In addition, a trust will address disposition of the asset in the event a beneficiary predeceases the owner. The bottom-line is that in some situations, and for some assets, joint ownership and/or pay-on-death planning is completely appropriate. However, it is important to be thoughtful about these decisions and to consider the consequences in the context of your overall estate plan. As with all estate planning, whether or not a particular type of estate planning strategy is right for you depends entirely on your unique situation. Speak with an experienced Massachusetts estate planning attorney about your situation and your goals to make sure your intentions are realized. Attorney Suzanne R. Sayward is a partner with the Dedham firm of Samuel, Sayward & Baler LLC which focuses on advising its clients in the areas of estate planning, estate settlement and elder law matters. She is certified as an Elder Law Attorney by the National Elder Law Foundation, a private organization whose standards for certification are not regulated by the Commonwealth of Massachusetts. This article is not intended to provide legal advice or create or imply an attorney-client relationship. No information contained herein is a substitute for a personal consultation with an attorney. For more information visit www.ssbllc.com or call 781/461-1020.